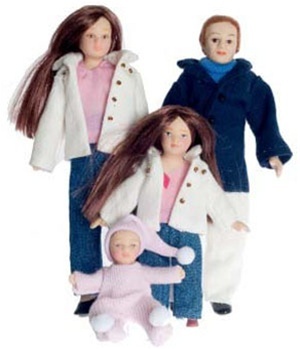 NEW Family of four father, mother, small girl, and baby all with brunette hair. Faces, hands, and feet are made of porcelain. Dressed in modern day clothes.